In a weak effort to curb my excessive (garden) partying with the influence of Reformation and Zara, my failed attempt were as proven by both my poor wallet and closet. 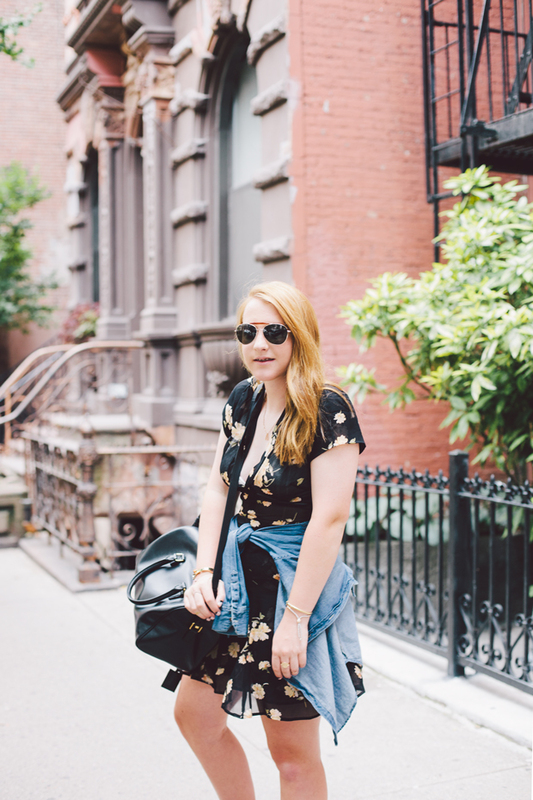 After this playsuit antic pulled back in June, I've fallen of the floral bandwagon once again. 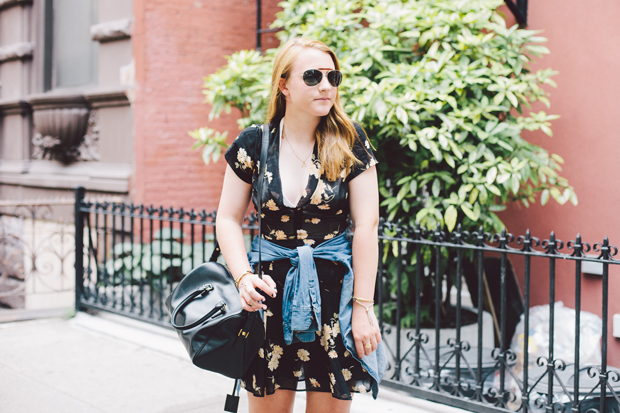 Nothing better than a floral dress in the summer heat. Of course, dresses are something that I normally avoid like the plague if the suggested attire is not "formal". Also putting into consideration that all I've worn this summer is sailing gear and my respected plethora of rompers, denim, and such.... I have a few guidelines when it comes to sporting dresses- like that chambray around the waist. Makeshift belt and a savior regarding mechanical wind chills aka AC. 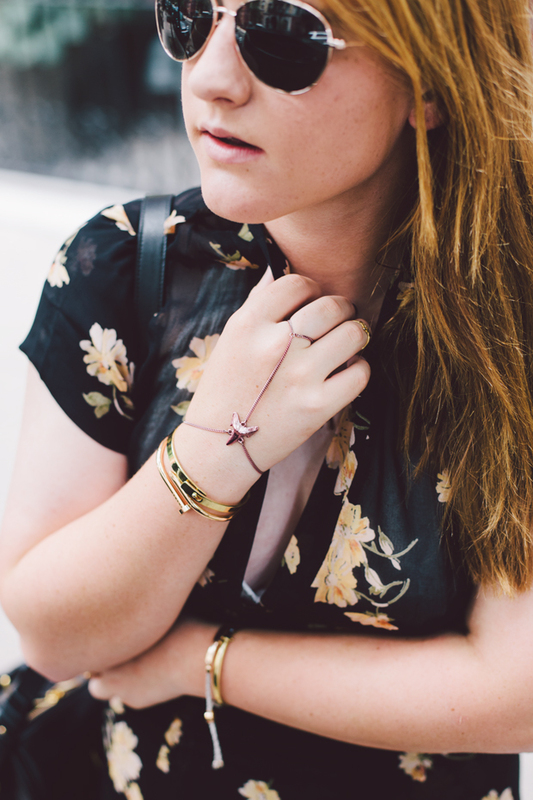 So help a girl out and let her have one last hoorah in florals. Love this print! And your hand chain is too cute! These photos are amazing! And that hand chain is too great. 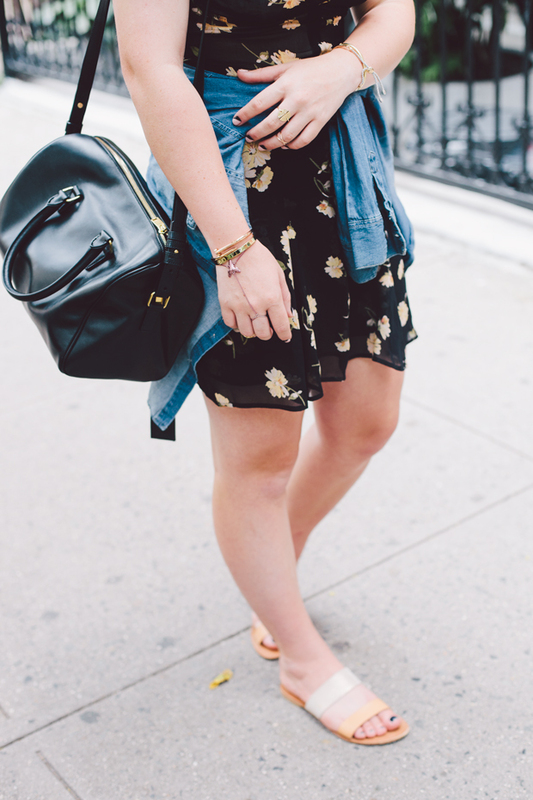 Love the chambray around your waist!